The Toronto Raptors have been in existence since 1995, along with their then expansion NBA franchise cousin, the Vancouver Grizzlies (now Memphis). Toronto has had an intriguing 24-year history. Some of that history has been great, some good and some bad. There was the 2001 second round of the playoffs between the Raptors and Philadelphia 76ers'. In that playoff matchup, Vince Carter and Allen Iverson put on a clinic of clutch basketball in a seven-game series won by Philadelphia. 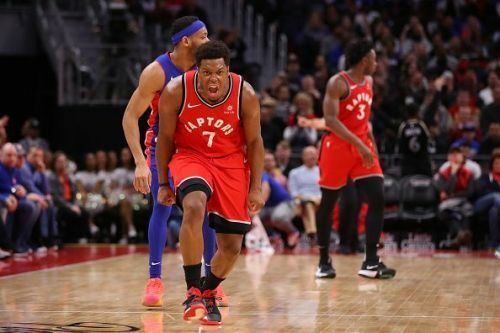 The last five seasons with the team led by Kyle Lowry and DeMar DeRozan have been an incredible stretch of basketball for Raptors fans. There have also been moments when the team drafted utterly forgettable players like center Rafael Araujo. The Raptors have also had some great players that the fanbase will never ever forget. Here is a look at the five best Raptors in the last 19 years of their history. Vince Carter's #15 jerseys are still seen around the city of Toronto quite frequently. His rise to stardom also coincided with the Toronto Raptors first three-year playoff run from 2000-2002. Toronto had always been seen as a hockey town and Vince Carter was Toronto’s first basketball superstar. He was given three unique nicknames. 'Vinsanity, half-man half-amazing, and Air Canada'. They were all related to the fact that Carter had an tremendous leaping ability and used it often to make incredible shots or punish rims around the NBA with exciting dunks. Carter spent six and a half seasons in Toronto but not all of it pleased the fans. However, a 2017 documentary film known as the Carter Effect details just how much of a positive effect #15 had on the development of basketball in Toronto and Canada. Carter was traded to the New Jersey Nets in 2004 but still ranks third overall in Raptors history with 9,420 points. Carter is also fifth in Raptors history in steals with 534 steals and fifth in three-pointers made in a Raptors uniform with 554. 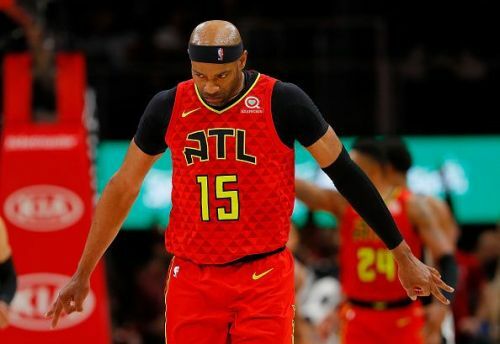 Now in his 21st season playing for the Atlanta Hawks, Carter may be close to retirement at the end of this 2018-19 season.